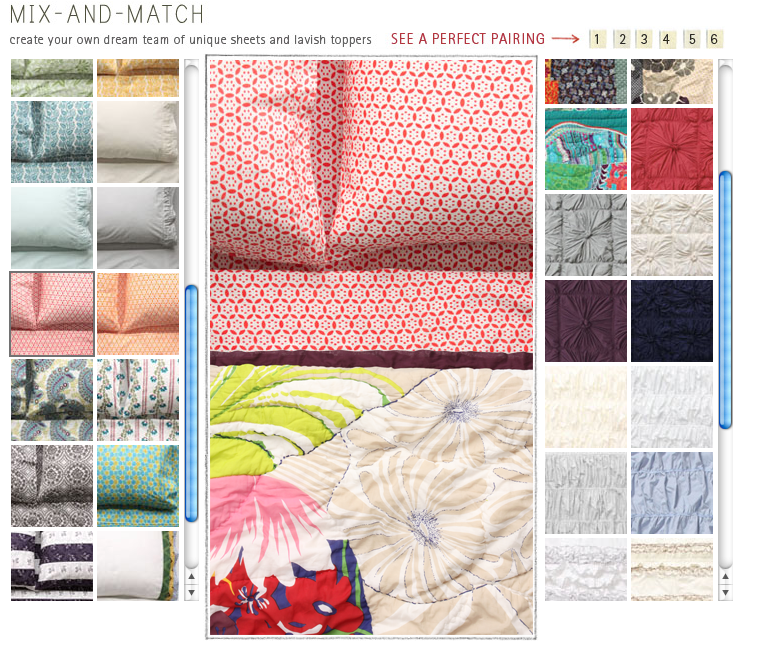 I just got an email from Anthropologie titled “Have you met your mix-and-match?” advertising their bedding line. I’m a fan of their bright and whimsical bedding, so I clicked through and found they’ve put together a super simple, but wonderfully effective interface that lets the user mix-and-match sheets with bedspread options. It’s a nice reminder that the best interface solutions aren’t always the most technically difficult and that simple is sometimes all you need when creating a convincing experience.